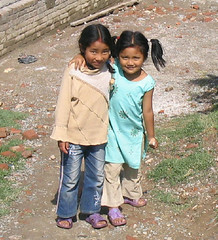 The average income in rural Nepal is substantially lower than that of the urban areas. Consequently, it’s very difficult for many rural students to pay for higher education. Even though the tuition at the Patan Academy of Health Sciences is far less than that of comparable Nepali medical schools, many rural students are not able to afford the cost of attending the academy. PAHS wants to provide as many full scholarships as possible to its students, which will counter the current trend in Nepal of medical education only being available to the wealthy. The recipients of the scholarships will be applicants from rural and underprivileged backgrounds who show a strong commitment to serving the disadvantaged and exhibit the greatest potential to become future leaders in public health, but cannot afford the tuition. Women, who are severely underrepresented among Nepali doctors, will be preferentially selected to receive scholarships. Please consider giving a bright, promising student from a remote part of Nepal the opportunity to fulfill their dream of becoming a doctor. This will not only change someone’s life, it will help to improve the severe health problems that are prevalent throughout rural Nepal. All scholarships will be accompanied by a requirement to serve in remote regions of Nepal for 2 years after graduation, which will further encourage these students to commit to serving Nepal’s poor and disadvantaged populations. A medical degree in Nepal requires 5 years of education. If you would like to discuss how you can provide scholarships for PAHS students, please contact pahs@pahs.edu.np.